It would be hard to imagine that no one knows this, but the USA has been eliminated from the World Cup. Belgium dominated the offense, but USA's Tim Howard nearly singlehandedly sent the red, white and blue into the semifinals. Howard recorded a World Cup single-game record 16 saves in the match on Tuesday. Here are some stories, notes and highlights. "Belgium's unyielding attacks for 90 minutes on Tuesday only highlighted the great performance of the 35-year-old Howard, but the goalkeeper's teammates finally wilted in the evening heat once extra time came." Belgium hang on to defeat U.S.
"It felt as if Tim Howard would never go down. As if the United States would never go down, standing there, taking shots like an undersize fighter clinging desperately to a puncher’s chance. Howard saved with his hands. His feet. His legs. His knees. At one point, Howard even had a shot bounce off the crest over his heart." "The US battled valiantly -- namely Tim Howard, who played out of his mind in goal -- but they couldn't overcome two goals by Belgium in the first period of extra time." "Tim Howard makes another great save -- it seems like a broken record, but a sweet-sounding one for the U.S. Belgium's Divock Origi feeds Kevin Mirallas, a recent substitute, and the keeper charges forward for the kick-save to the left." "The teams could not be separated in normal time, and nor could they score most thanks to an inspired performance from Tim Howard, but in the extra 30 minutes the game exploded." 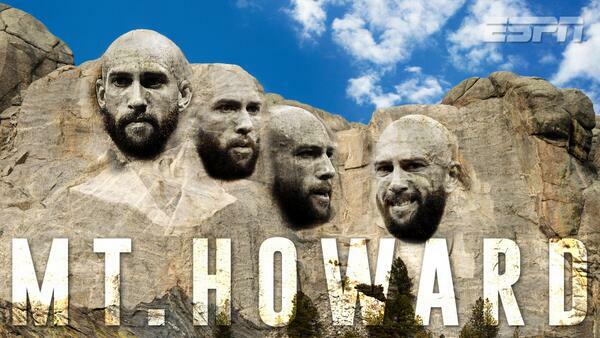 Belgium vs United States player ratings World Cup 2014: Did Kevin De Bruyne outscore Tim Howard? "The U.S. team, anchored by goalkeeper and North Brunswick native Tim Howard, stayed close in the match against a powerful Belgium team. Howard had a lot to do with that, with more than a dozen saves in the net. But it was not enough. 'Tim Howard played the game of his life,' said Mike Bobadilla, who graduated North Brunswick high school in 1989." "'It's heartbreaking,' Howard said. 'I don't think we could have given it more.'" "The American goalkeeper had saves of every kind. He flashed a leg out several times to knock shots away. He dived to his right or his left to snare hard-hit balls. He reflexively punched close-in shots away. He tipped the ball over the crossbar on a couple of occasions." "The hands, legs and even ankle of Tim Howard, coupled with some supreme defending from Matt Besler, had kept Jurgen Klinsmann’s side, who always looked a threat on the break, in it beforehand, before Marc Wilmots’ men scored twice before the 105-minute mark. A Julian Green volley nevertheless gave the Americans hope, but despite their admirable efforts, the Belgians held on to book a Brasilia date with Argentina." 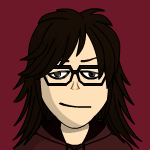 this is really great Angi. i love how you put all the stories together here in one spot. one of my coworkers told me Tim Howard is one of the top three goalkeepers in the world. he sure showed it in this game. it's a shame his effort had to happen in a loss.